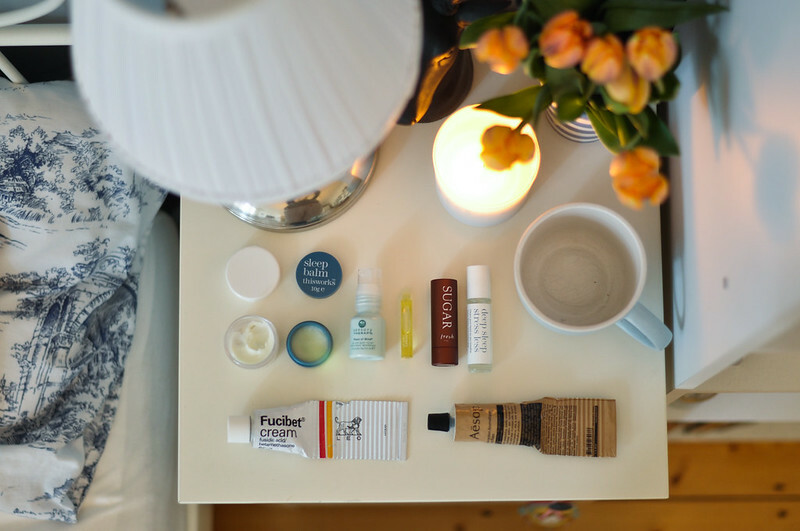 This Works Perfect Heels Rescue Balm depotted // This Works Sleep Balm // Origins Peace Of Mind // Liz Earle Superskin Concentrate // Fresh Sugar Lip Treatment // This Works Deep Sleep Stress Less Roller Ball // Eczema cream // Aesop Resurrection Aromatique Hand Balm. I just got the Aesop Resurrection hand cream but haven't started using it! I love the idea of the little mug! 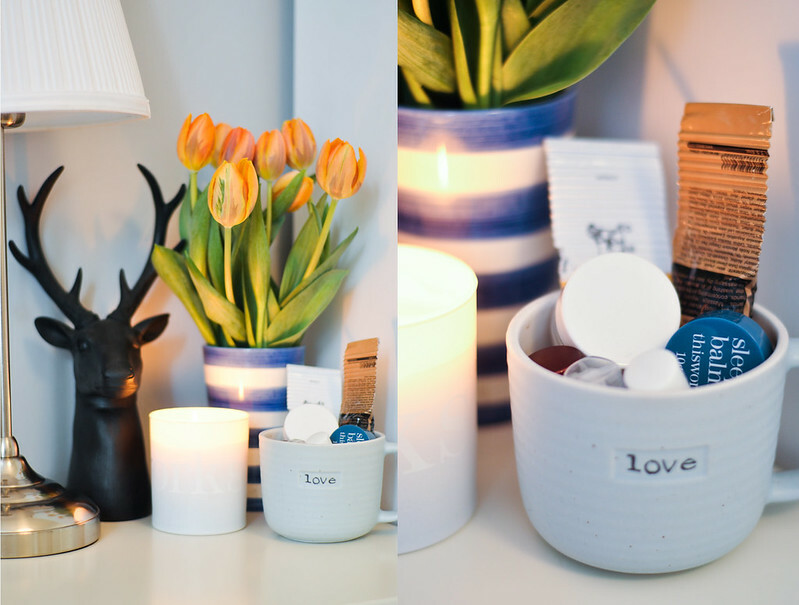 your bedside table is too cute! i love how you decorated it :) would love to try out the aesop balm sometime!